A century and a half after the Martian Separatist Wars and the final defeat of insane terrorist leader El Ahmi, Alexander Moore returns to the stars with the Sienna Madira, a United States Navy supercarrier spacecraft outfitted with advanced FTL and endlessly strange, extremely effective, quantum-based weapons and remote sensing technology. And, of course, he's brought marines and lots of them. These are troops superbly trained for space battle and equipped with advanced powered armor and artificial intelligence backup. Moore's task: hunt down remnant weaponry platforms left by the brilliant, mad artificial intelligence known as Copernicus, the being ultimately responsible for the solar system-wide civil war. Yet Moore is about to uncover something far more sinister: Before his destruction, Copernicus had established multiple mecha-warrior-defended bases with the intent of resuming the destruction of humanity. Worse, an AI presence even more dangerous, evil, and clever than Copernicus may have formed an alliance with something else out there with a similar goal: to wipe humanity from the galaxy forever. But those enemies will have to face a fully armed and equipped military task force led by a resolute general and his soldiers, who know they are all that stand between human life, freedom, and progress - and the total annihilation of mankind. 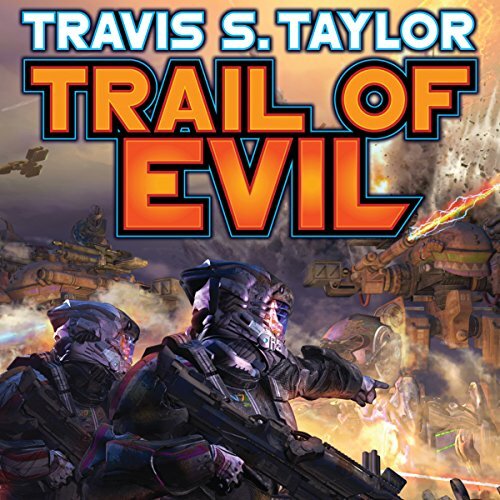 ©2015 Travis S. Taylor (P)2015 Audible Inc.
Was hard to put down. Always wanted to learn what was comming in the next chapter. Solid entry in the Tau Ceti series. If you liked the previous ones, you will most certainly like this one.